Phoenix City Council is taking public comments on the water rates proposal (see below) and will be discussing the issue at 3 pm on Wednesday, February 23rd. The meeting will be held at City Council Chambers, 200 W Jefferson St.
To provide safe and reliable drinking water to Phoenix businesses and 2.3 million residents – a critical public health issue. 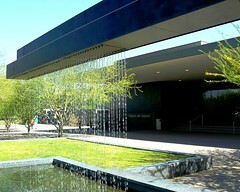 The Phoenix City Council will consider the water rates proposal at 3 p.m. Wednesday, Feb. 23, at City Council Chambers, 200 W. Jefferson St.
Posted on February 21, 2011, in City Hall, Meetings, Sustainability and tagged Phoenix City Council, water. Bookmark the permalink. Leave a comment.